"The concerto was seamlessly and gorgeously connected to the opening number, Charles Ives' The Unanswered Question. 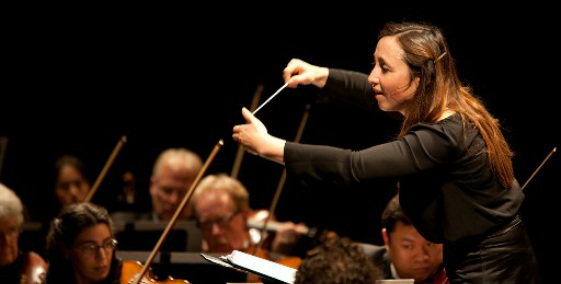 In stroke of brilliance, Music Director Joana Carneiro played both works, which have in common a certain ethereality, without an intervening pause. The orchestra performed a terrific version of the Ives, with opening strings evanescently hushed." Known as “the Bay Area’s most adventurous orchestra” (Contra Costa Times), Berkeley Symphony has been recognized with the ASCAP Award for Adventurous Programming in seven out of the last ten years. The orchestra supports local composers through its Under Construction New Music Reading Series. It also runs a year-long, award-winning Music in the Schools program, providing 4,000 local students with the experience of becoming a performer each year. 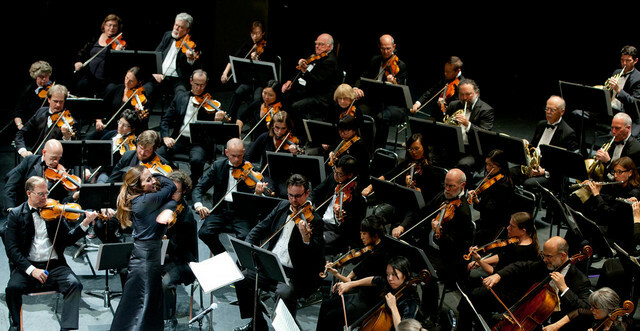 Berkeley Symphony was founded in 1969 as the Berkeley Promenade Orchestra by Thomas Rarick, a protégé of the great English Maestro Sir Adrian Boult. Reflecting the spirit of the times, the orchestra performed in street dress and at unusual locations such as the University Art Museum. Kent Nagano became the music director of the orchestra in 1978. He charted a new course by offering innovative programming that included a number of rarely performed 20th-century scores. In 1981, the internationally renowned French composer Olivier Messiaen journeyed to Berkeley to assist with the preparations for his imposing oratorio The Transfiguration of Our Lord Jesus Christ. Nagano and the orchestra, joined by the composer’s wife, pianist Yvonne Loriod, gave a sold-out performance in Davies Symphony Hall. In 1984, the orchestra collaborated with Frank Zappa in a critically acclaimed production featuring life-size puppets and moving stage sets, catapulting Berkeley Symphony onto the world stage.